When you want a stunning katana for your collection, be sure to check out the White Scabbard Shirasaya with Dagger. 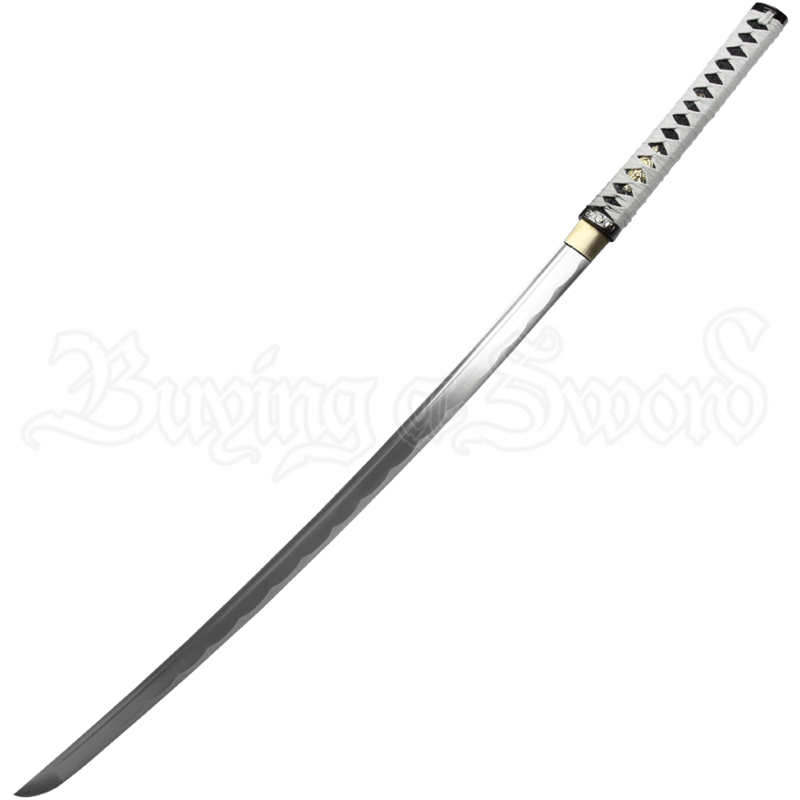 This hand-forged katana displays intricate ornamentation with golden floral designs and comes with a matching knife. 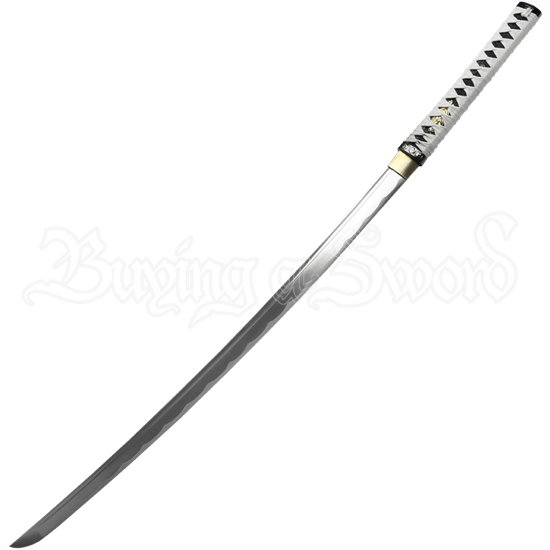 The samurai sword is made with a 1045 low carbon steel blade with a fuller. The imitation ray skin handle is wrapped with white cord. The end cap displays the Hidari Gomon, a symbol of Okinawa, as decoration. The collectible sword comes with a white scabbard, a sword bag, and a sword box that you can use for storage or display.